Combine Hogwarts and silence and you have the Reading Room. Rows of brass-lamped, oak study tables, beneath a 65 foot high ceiling, diffusely lit with natural light through leaded and stained glass windows. 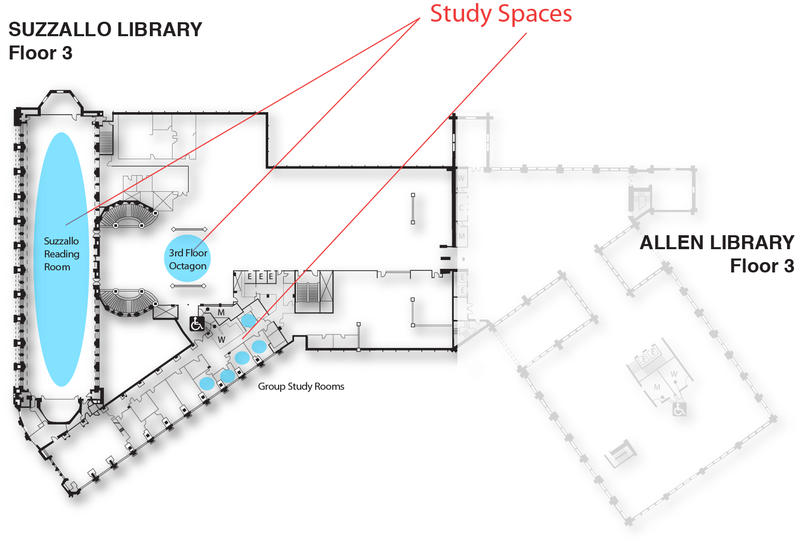 This is the only part of the library designated as a silent study area. Electrical outlets located in the floor under the study tables.